As you know I am working on my all-natural health care products into my apothecary cabinet. That includes herbs, oils, essential oils, syrups and salves. Some of which I come up with. 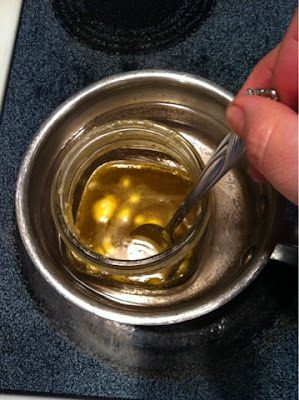 I have an achy muscle salve that I keep on hand, an eucalyptus chest rub, an all purpose anti-bacterial salve, and to go with it... yesterday, I made up an anti-fungal cream. I truly am amazed at the healing properties of all natural items. I get excited when I research and learn how to use them in new ways. After some reading, I chose all these oils and butter in a combination that I think will work very nicely! Shea butter is EXTREMELY nourishing to the skin. It is excellent for those who have dry or sensitive skin. It has anti-inflammatory properties, it protects against UV rays, and it's an antioxidant! 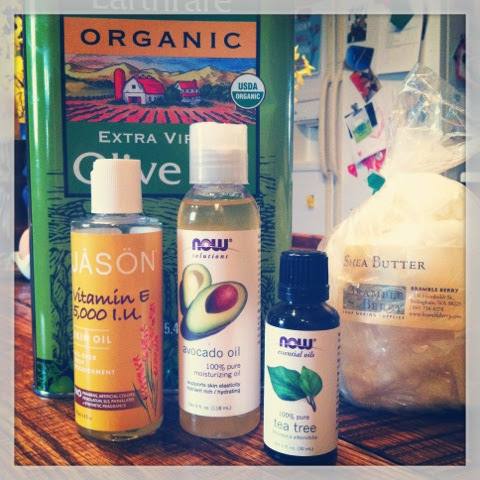 Avocado oil is one of those oils that if you have any type of skin irritation, grab the avocado oil. It is FULL of good fats and great for the skin, as is Olive Oil! 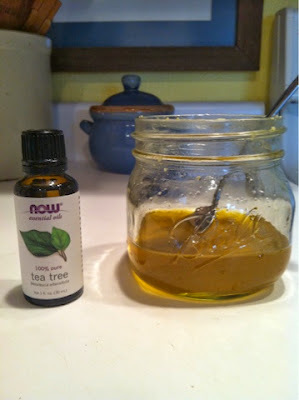 Tea tree is anti-fungal, but it is STRONG! You wouldn't want to use it straight up on anything. So that is why I chose the other oils to use as a carrier. Lesson learned, the hard way, sometimes. 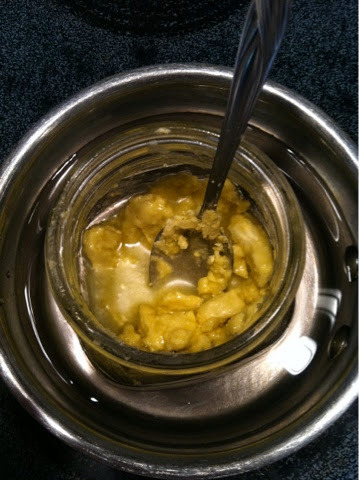 First, take the shea butter, avocado oil, olive oil, vitamin E oil and put it into a pint jar. Put the pint jar into a small pan filled with warm water. Use this like a double-boiler. Just gently warm the water and stir the butter and oils. Stir until everything is liquid. 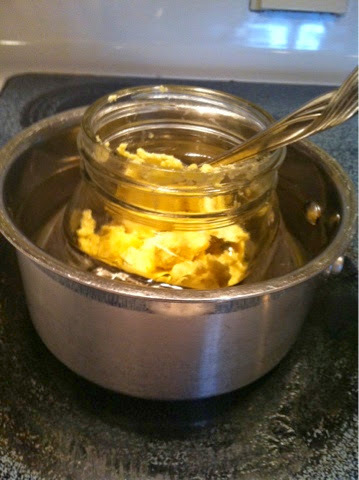 Take the jar out of the hot water and set it on the counter. Once the oils have cooled down 'just warm' stir and add your tea tree oil. 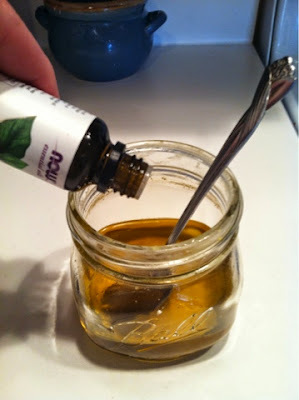 Don't add your essential oils to extremely hot liquids because it will destroy the healing properties. Stir your cream several times as it cools so the oils will stay mixed. You don't want them to separate. Once cooled, label and store in your own apothecary cabinet. Here's to your health... Naturally! Love natural recipes. Thank you for sharing this one!